The latest update to the iPad Pro lineup was a major refresh for Apple's premier tablet range. Arguably the biggest change of them all for 2018 is the move from a 10.5-inch display to an 11-inch model, with thinner bezels and rounded corners allowing the larger screen size to fit into a same-sized chassis, one which is also just 5.9 millimeters thick. Instead of OLED, the display is the same LCD Liquid Retina type used in the iPhone XR, which uses a new backlight design and pixel masking techniques to achieve the rounded corners. Support for wide-color, True-Tone, and the 120Hz ProMotion technology are still present, allowing the screen to show a vibrant image and make using the Apple Pencil as great as possible. Powering the new models is the A12X Bionic, which uses an 8-core processor made up of four performance cores and four efficiency cores, complete with the 8-core Neural Engine. It also uses an Apple-designed 7-core GPU, which Apple claims offers game console-level graphical performance. The new changes also mean that Touch ID has been removed, in favor of Face ID. 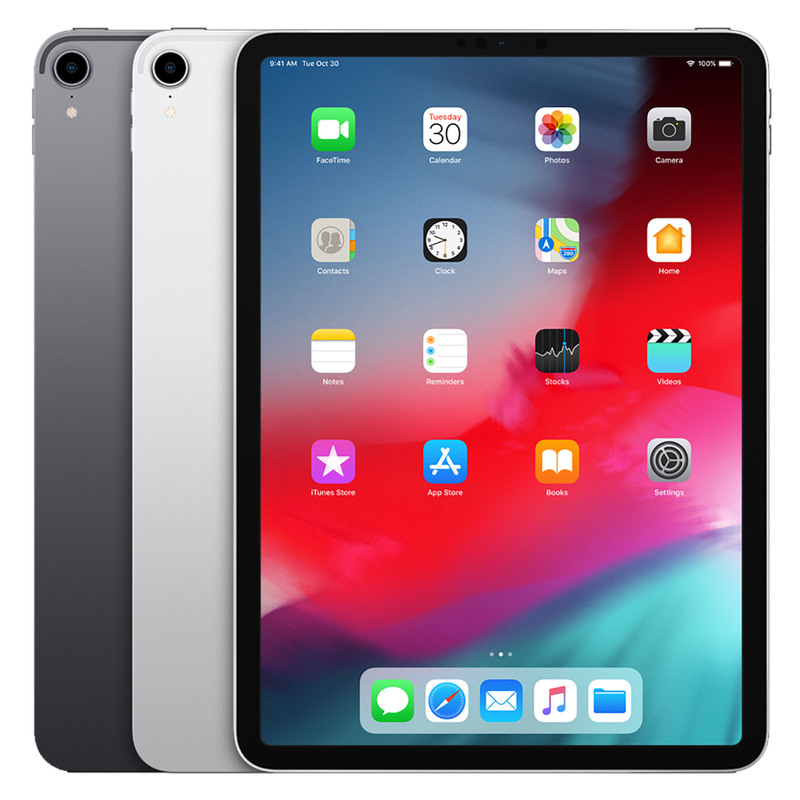 For the iPad Pro, the biometric authentication system has been given an upgrade from the version used on iPhones, with it able to be used regardless of the iPad Pro's orientation. The rear camera is the same 12-megapixel version used in the iPhone XR, complete with Smart HDR and 4K video capabilities. Another major change is connector related, with the Smart Connector shifted lower down the back of the device, and the removal of the Lightning port. Instead, the new USB-C connection enables users to attach their iPad Pro to a variety of devices, including external storage, docks, and even separate monitors. If you need performance on a par with notebooks but in a compact size, it's hard to look elsewhere than the 11-inch iPad Pro.